SCHLIEREN, SWITZERLAND--(Marketwired - February 02, 2017) - InSphero AG, the leading supplier of advanced, yet easy-to-use 3D cell culture-based solutions for drug discovery and development, will debut the GravityTRAP™ 384 Microtissue Platform at the Society for Laboratory Automation and Screening (SLAS) 2017 Conference, February 4-8 in Washington, D.C. Engineered specifically for 3D microtissue culture, the GravityTRAP™ 384 platform includes two features that differentiate it from existing 384-well plates: distinct microtissue culture and media chambers separated by a tapered SureXchange™ pipetting ledge, providing safe medium aspiration and exchange without accidental loss of microtissues; and a continuous flat-bottomed glass base plate combined with a black-walled body, ensuring superior confocal and high content imaging optics while reducing fluorescent cross-talk between wells. The platform conforms to Society for Biomolecular Screening (SBS) standards and is compatible with state-of-the-art high content imaging and automated liquid handling systems. "More and more, industry is looking to leverage 3D models that better reflect in vivo biology at earlier stages in drug discovery and development, such as target validation and efficacy screens for potency and selectivity," said Dr. Jan Lichtenberg, InSphero Chief Executive Officer and Co-founder. "However, the current generation of 384-well plates can cause production inconsistencies, complicate handling steps, and decrease the quality and reproducibility of data obtained. These are all critical factors that impact R&D groups overseeing high-throughput screening (HTS) workflows. The GravityTRAP™ 384 Microtissue Platform addresses these issues, providing a plug-and-play solution for HTS. 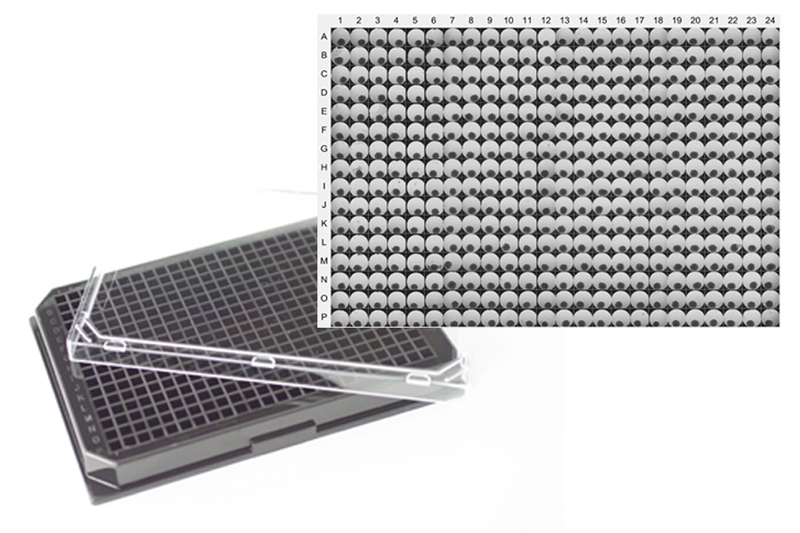 Our customers will receive 384 of our fully qualified, assay-ready 3D InSight™ Microtissues in a plate that is designed for high-content optics and eliminates accidental loss of microtissues during medium exchange steps." 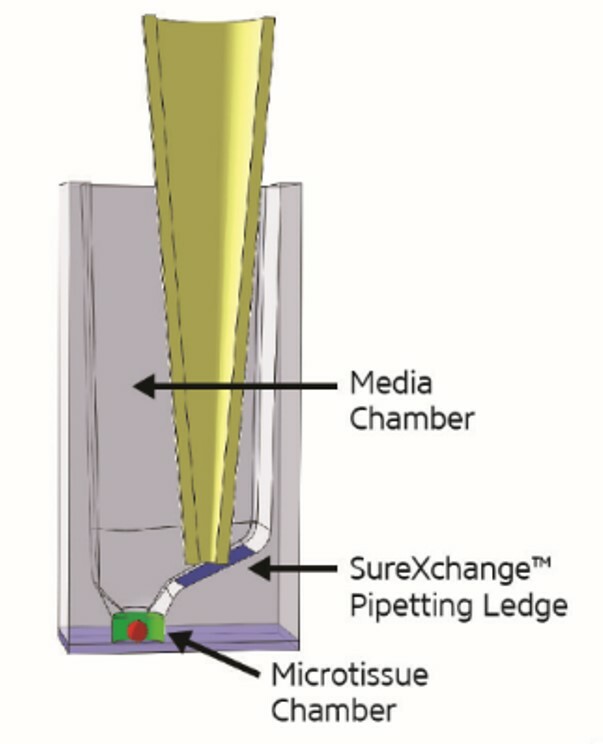 InSphero will begin delivering microtissues in the GravityTRAP™ 384 format throughout the year, starting with human liver microtissues for early stage drug-induced liver injury (DILI) screening, and multicellular tumor spheroid (MCTS) co-culture models that recreate complex tumor microenvironments for cancer drug screening. In addition to providing assay-ready models in 96- and 384-well formats, Dr. Lichtenberg said that InSphero will offer contract model development services to screening groups that need custom microtissues for specific 384-well projects. "We can assist research teams by doing the 3D model development for them. Our scientific staff is highly experienced in evaluating which cell types readily form microtissues, and they can efficiently create simple, monoculture 3D models, for example from modified tumor cell lines, as well as more complex co-culture models. Our goal is to not only relieve the microtissue and assay development burden, but also long-term sourcing, production and QC costs." InSphero provides superior biological relevance to in vitro testing with its easy-to-use solutions for production, culture and assessment of organotypic 3D cell culture models. The company's patented technologies include the 3D Select™ Process (pending) and scaffold-free 3D cell culture plates that enable large-scale, reproducible production of a broad range of assay-ready 3D InSight™ Microtissues derived from liver, pancreas, and tumors. These models and contract research services utilizing them help to identify promising drugs and toxic liabilities with greater predictive power at early development stages, enabling better pre-clinical decision making, saving development cost, and shortening time to market. InSphero technologies drive significant findings in peer-reviewed journals, through collaborative projects such as EU-ToxRisk and HeCaToS, and have gained validation in the world's largest government institutions and pharmaceutical, chemical and cosmetics companies. This 3D know-how is also being applied in the diagnostics field to aid development of personalized chemotherapeutic strategies for the treatment of cancer. Follow us on Twitter and LinkedIn, and visit www.insphero.com. The GravityTRAP™ 384 Microtissue Platform enables reproducible production, culture, and high-content imaging of InSphero 3D microtissues in a high-throughput compatible format. 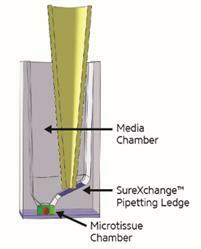 The GravityTRAP™ 384 Microtissue Platform contains distinct microtissue culture and media chambers, separated by a unique SureXchange™ pipetting ledge that prevents accidental microtissue loss during aspiration and medium exchange.